Veterans in our country can’t be appreciated enough. There are numerous, special rules that help veterans obtain housing and student loans, and the US Bankruptcy code is no different. As a disabled veteran or active duty service member, you are entitled to special exceptions when declaring bankruptcy. Full-time National Guard members may still be entitled to slightly different means test exemptions. If you are currently receiving veteran benefits, there are exemptions available that can protect your veteran’s benefits in bankruptcy. In a Houston, TX Bankruptcy, you have the option of using either Texas state bankruptcy exemptions or you may choose to use the federal exemption statues instead. By choosing the federal bankruptcy exemptions, your benefits are automatically safeguarded from the bankruptcy estate. 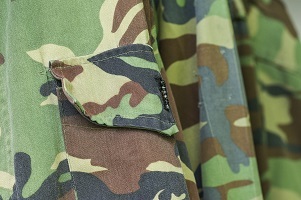 If you are serving in an active military combat zone you are exempt from having to take the otherwise necessary, pre-bankruptcy credit counseling course. Even if you don’t meet the requirements for waiving the pre-bankruptcy credit counseling course, they can often be completed online for a minimal fee of $50 to $100. As a veteran, you are entitled to a federal law that provides protection against debt collection actions under the Servicemember Civil Relief Act (SCRA) even when not declaring bankruptcy. These rules can prevent or postpone foreclosures, evictions, wage garnishments, and bank account levees. Additionally, the SCRA can add extended benefits for veterans filing bankruptcies for 90 days or more after leaving active duty which includes eliminating or delaying default judgments, objections to discharge, trustee actions, and post-bankruptcy evictions. If you a veteran suffering from debt, contact a Houston Texas bankruptcy attorney to discuss your situation and how to utilize the special bankruptcy rules for veterans to get back on your feet. An experienced bankruptcy lawyer can help you prevent foreclosure and debt collection default judgments, eliminate unsecured debt, and obtain a clean financial slate.